Davitt has quite publicly struggled with mental health issues: In 2007, she revealed on an episode of The Oprah Winfrey Show that she had been diagnosed with bipolar disorder four years beforehand. In a very upsetting video posted last September on Facebook, she said that she was suicidal and was living alone in a Travelodge in New Jersey. That conversation came in the midst of a wider public conversation about mental health issues, partly spurred by celebrities such as Selena Gomez, Demi Lovato, Lady Gaga and Ryan Reynolds speaking more openly about mental health. The name Shuhada can be translated as “martyrs” or “ones who bear witness”; Davitt has apparently chosen to add an apostrophe to the end of the name. 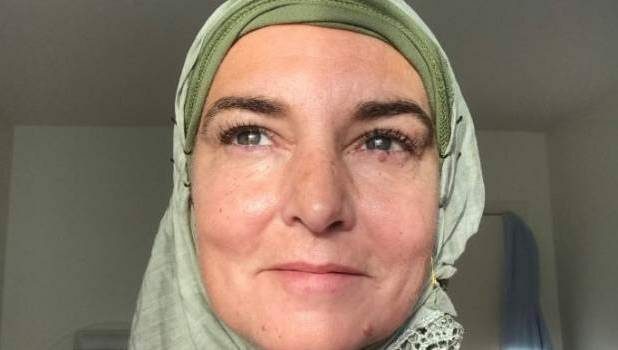 Many Muslims and others on social media have greeted the news of her conversion warmly, though others already have criticized her for reciting the adhan as a woman. And there are some posting anti-Muslim remarks or positing that it’s just another phase for a woman who already has morphed through several personal and religious identities. In 1992, she famously ripped up a picture of Pope John Paul II during a performance on Saturday Night Live as a protest against sexual abuse in the Catholic Church. At the time she was widely mocked and criticized. In the late 1990s, she was ordained a priest by an independent Catholic group called the Irish Orthodox Catholic and Apostolic Church.